MCNEILL, Miss. -- Mississippi State University invites muscadine grape growers and those interested in growing these vines to an Aug. 26 field day in Pearl River County. Topics for the annual Muscadine Field Day include pests, new varieties and vine management. MSU Extension Service, Mississippi Agricultural and Forestry Experiment Station, and U.S. Department of Agriculture - Agricultural Research Service personnel will speak. Eric Stafne, Extension fruit crops specialist and Experiment Station researcher, said attendees will be allowed to walk through the vineyard and sample the fruit. 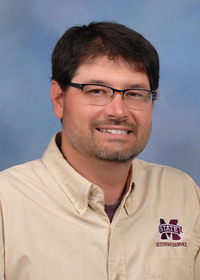 Mississippi State will host the field day at the MSU McNeill Research Station, located at 7 Ben Gill Road in Carriere. There is no cost to attend. Registration starts at 8:30 a.m., and the program is from 9 a.m. to 11 a.m. This is an outdoor event, so participants should come prepared for the weather. Limited shade is available, along with restroom facilities and water. Contact Stafne at eric.stafne@msstate.edu or 601-403-8939 for more information.